Just when everyone thought that the goalie debate was (finally) over, along comes new kindling for the fire. 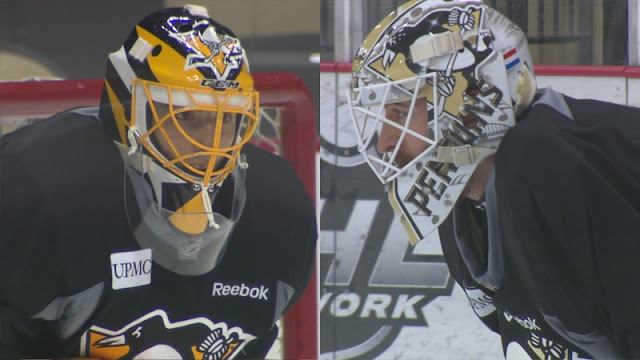 The playoffs were set to begin Wednesday April 12 the way everyone thought it would: with Matt Murray in between the pipes. All eyes were on the young rookie as he prepared to take on an even more gruelling post season than the one he was thrown head first into the previous year. Injured players were returning, including Evgeni Malkin, and Ron Hainsey was eager to take the ice in his very first playoff game in 907 games played in the NHL. The lines were set. Everything was in place...until about 7:15pm. 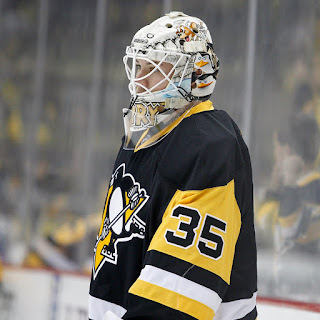 With seven minutes remaining in warm ups before the start of the game, Murray went to make a routine practice save and, directly following, was seen in severe discomfort. He made his way down the tunnel to the dismay of all fans. 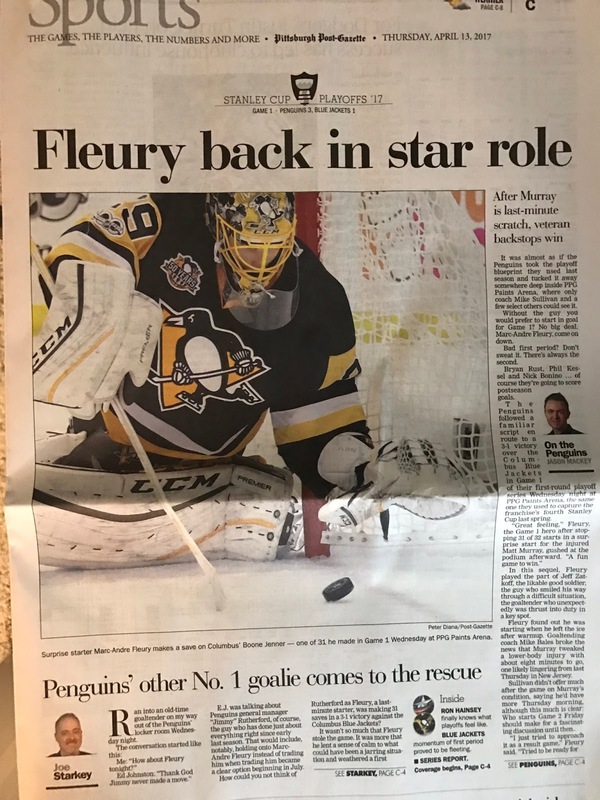 Ten minutes later, the official announcement came that Marc Andre Fleury would be the starting goalie and, Tristan Jarry, who played in his very first NHL game just days before, would be his back up. The amount of Twitter posts about how thrilled fans were to see MAF get a chance at glory once more were staggering. On the flip side, the tweets professing how "doomed" the Pittsburgh Penguins were to become with Fleury as the goalie are even more numerous. Although the Penguins would go on to win the game and MAF make 30 saves out of 31 shots on goal, the battle lines were drawn once again. 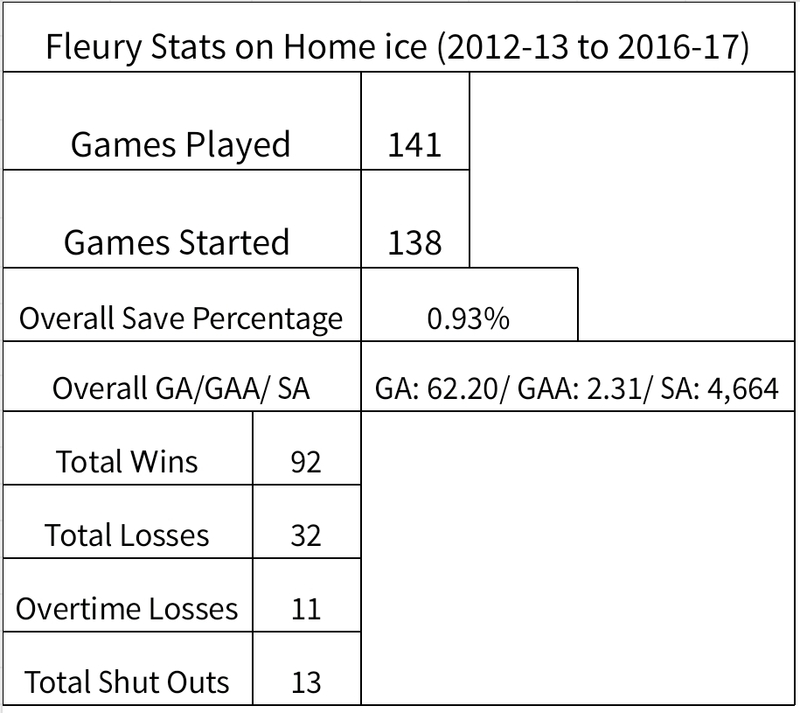 It was #teamFleury versus #teamMurray all over again even though Fleury starting was a matter of circumstance and not a coaching choice. I want to make this very clear to the ever so spoiled masses: there shouldn't be a side. The Penguins' are fortunate enough to have not one, but two, Stanley Cup winning goalies. There are teams that would give a handsome sum to have just one on their bench. In the Penguin's first playoff game, it became apparent as to why he as kept instead of traded at the deadline. 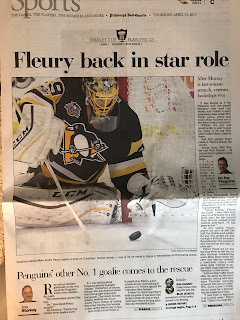 Fluky accidents can happen at any moment and when they do, having someone of Fleury's calibre to step in at a moments notice is, to most teams, a dream scenario. For the Penguins, it is a reality everyone should be thankful for. The numbers being what they are, it was safe to say that the game was in good hands with Marc Andre Fleury. What happens next is anyone's guess. There is no telling how long Matt Murray will be out of the line up (he did not practice Thursday April 13) which puts Tristan Jarry in an interesting situation. Should MAF need a break, it will be up to him in net. This situation is where the true concern should lie. Jarry is not battle tested. He has not faced any of the teams that the Pens could play down the road. He has not played for half an NHL season like Murray did last year. Jarry has zero experience with this level of competition. He has played one NHL game. Granted, he did very well in that game (albeit a loss). He made an incredible save early verses the New York Rangers on Sunday April 9. However, that was a meaningless game. Whether the Penguins won or lost had no bearing on the post season at all. Is Jarry ready for what could be asked of him? Depending on how long Murray is side lined (and per Head Coach Mike Sullivan, there is no current time table on his return), soon enough, we will see just what Tristan Jarry can do under the pressure of the NHL post season, and that could come sooner, rather than later. The looming question remains however that if/when Murray returns, will the call be made to immediately put him back in as the starter or will he have to wait? #teamMurray will tell you "Yes, he is the future. He should be the starter no matter what!" But is it worth the risk of putting him back in the net cold coming off an injury against tougher opponents, especially if Fleury gets on a hot streak? #teamFleury will tell you "No, you leave MAF in until he cools off then let Murray have another shot!" I have a great idea. How about we all be #teamPenguins and, for once, be truly grateful and supportive for what we have here in our city. 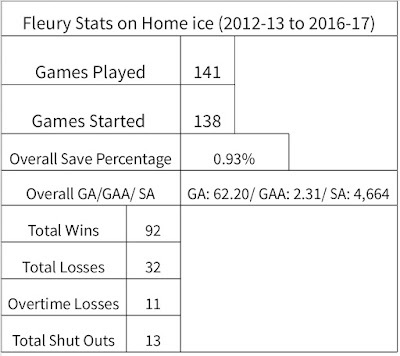 Whether it is Fleury or Murray, both goalies have proven that they are capable of getting the job done.